Wedding trends come and go. This one, however, looks like it’s going to be around for a while. 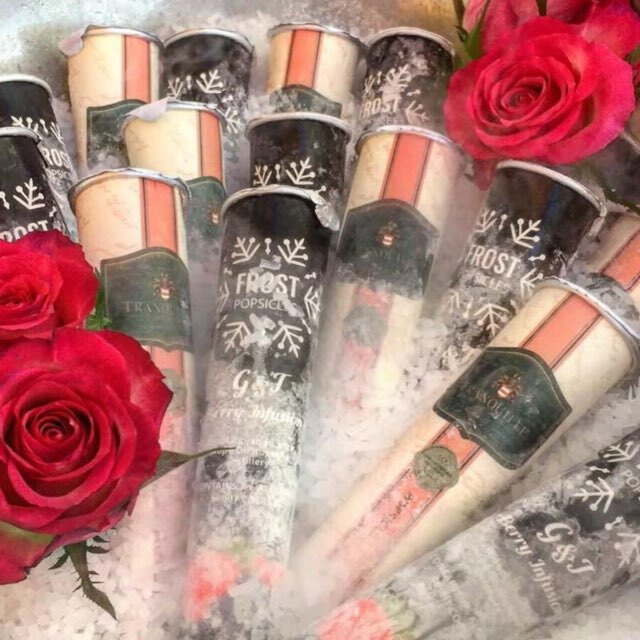 Brides and grooms are ditching whisky bars in favour of FrostCycles or FrostBars stocked with alcoholic popsicles. Your FrostCycle or FrostBar comes fully stocked with Frost Popsicles. 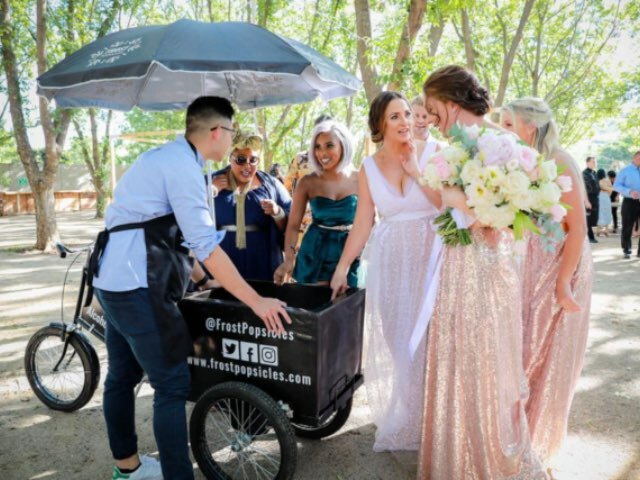 They also take care of everything for you and even provide a uniformed member of staff to serve Frost Popsicles of your choice to your guests. So it’s convenient and takes some of the stress out of planning your cocktail hour drinks – check. Nothing complements the celebration of you and your significant other’s journey together like a group of guests high on the memory of childhood summer days spent eating ice lollies. 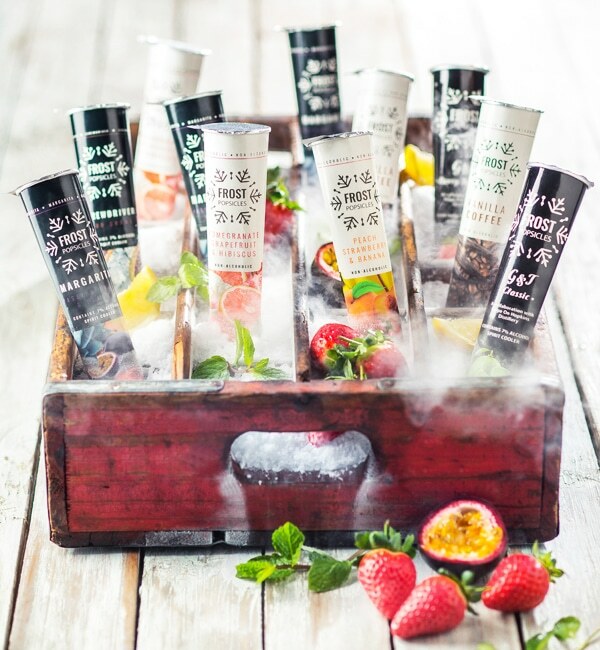 Frost Popsicles also offers a range of non-alcoholic popsicles including a Vanilla Coffee Popsicle. It’s made using milk powder, a pure Madagascan vanilla extract, and a gourmet coffee blend from Avanti Coffee. These are great if you have kids or guests at your wedding who don’t drink. They’ll feel included and will thank you for giving them something delicious instead of that standard soft drink option. While your smart-casual or cocktail best might be appropriate for the celebration, it’s not always super comfortable in the summer heat – especially if your wedding is outdoors. Your guests can beat the heat with an adult version of their favourite summer treat. 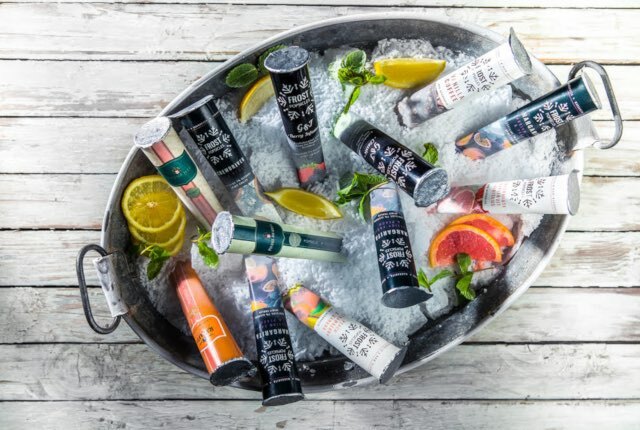 The original wine infused Tranquille and Brut PJ Pops are a great substitute for a glass or two on a sunny day, the Passion Fruit & Peach Margarita Popsicle is made with 100% natural peach and passion fruit flavour extracts – and that’s just a small taste of the range on offer. There’s nothing worse than getting back to your wedding reception after the photos to find your guests rowdy and on their way to dancing on the tables before you’ve even had a glass of champagne. This is a great way to prevent that while still ensuring that your guests get to have a drink. Plus, the entire Frost Popsicles range is made from all natural ingredients, is low in calories, and contains no artificial flavours, colourants or sweeteners. With the exception of the Vanilla Coffee Popsicle, all the other Frost Popsicles flavours are dairy-free and vegan-friendly. 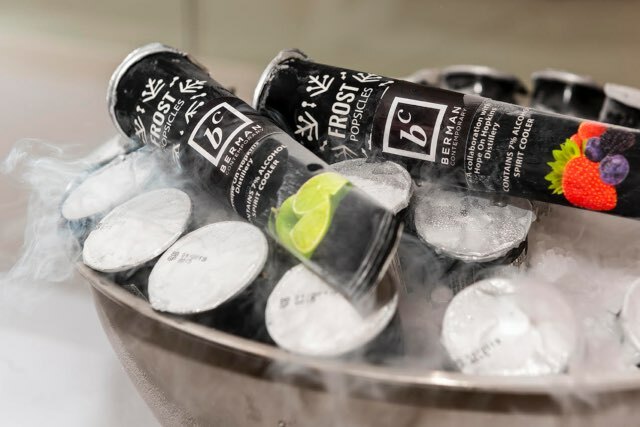 As mentioned before, Frost Popsicles will make sure that you have everything you need to show off and then distribute your Frost Popsicles, including dry ice. They also partner with Ice Art if you’d like to incorporate an ice sculpture into your decor. And if you’re getting married outdoors, the FrostCyle is a great, rustic addition to cocktail hour. You can see the FrostCyle in action on an episode of Wedding Bashers that aired last year. Happy guests who’ll be talking about your wedding for years to come. Visit the Frost Popsicles website to add something special to your big day.